Comments: Book shows wear from consistent use, but remains in good condition. Contains highlighting and/or writing/underlining. Cover art may differ from stock photo. 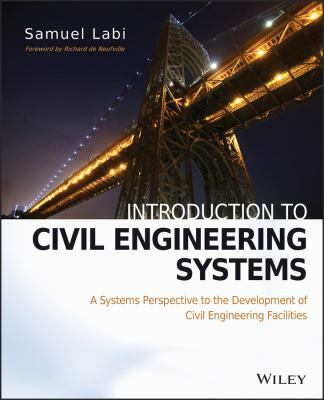 Labi, Samuel is the author of 'Introduction to Civil Engineering Systems', published 2014 under ISBN 9780470530634 and ISBN 0470530634. Loading marketplace prices 34 copies from $92.09 How does the rental process work?